A mother is an epitome of inspiration in all walks of our life. We bow down to all the single mother`s who have raised their children on their own with least support from anyone else. Here are the celebrity single mother`s who decided to do something different and give motherhood a new meaning. The former Miss Universe might not have made it large in movies, but when it comes to celebrating motherhood , Sushmita Sen stands out from the rest. A great inspiration to all the women who has the courage to enjoy being a mother through adoption. One fierce lady who strongly promotes girl child, she has adopted two very pretty girls. 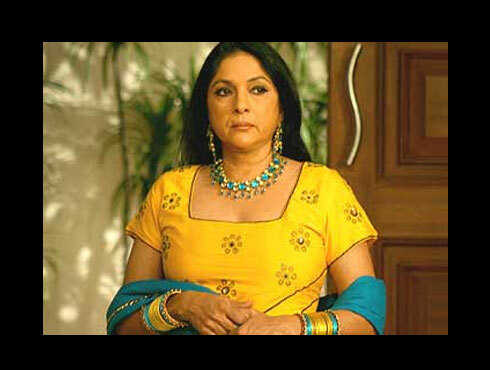 The renowned veteran actor Neena Gupta, is a proud mother to designer Masaba Gupta. She is one brave lady who withstood all criticisms after her brief affair with West Indian cricketer Vivian Richards, and had a child out of wedlock. But she braved it all for her daughter and raised her single handedly. Daughter of actor Kabir Bedi and late Odissi dancer Protima Bedi, the gutsy female parted ways with her husband Farhan Ebrahim Furniturewala after 8 years of marriage. Since then she has been a single mother to two and has managed it quite well. Though raising kids independently is a tough job, the mother of two has no qualms about being single. Another prominent personality to join the league, is the teenage mom at 17 Urvashi Dholakia, popularly known for her negative role as Komolika on Indian Television. With a failed marriage, she did not lose out but rather chose to fight the battle, and emerged successful as a parent as well as a professional. A celebrity single mom who quite enjoys being an independent mother, and is happy about it. She raised her twin sons without any external support. Truly an inspiration to all women out there who take what it takes to live their lives in their own terms.